All students are expected to make themselves familiar with the Senate Policy on Academic Honesty available in the York Calendar and on the York website. It is advised that all students complete the Academic Honesty Tutorial. The department would like to add a special caution regarding material downloaded or found on the internet. It is imperative that students treat material found on the web exactly the same as material found in a scholarly article or book: the material must be properly cited if quoted or paraphrased. 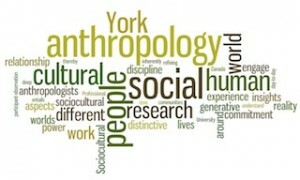 Refer to Footnote and Bibliography Guidelines found on the York University Library website as well as specific referencing guidelines for anthropology. The Open Anthropology Cooperative is an online space where professionals and students who are already committed to the discipline will find like-minded anthropologists, as well as new tools, resources and opportunities for collaboration. They also welcome anyone for whom our conversations are interesting. An engaged anthropology for the 21st century should be open to interdisciplinary collaboration. This depends on making full use of the emerging social and technical synthesis entailed in the digital revolution.